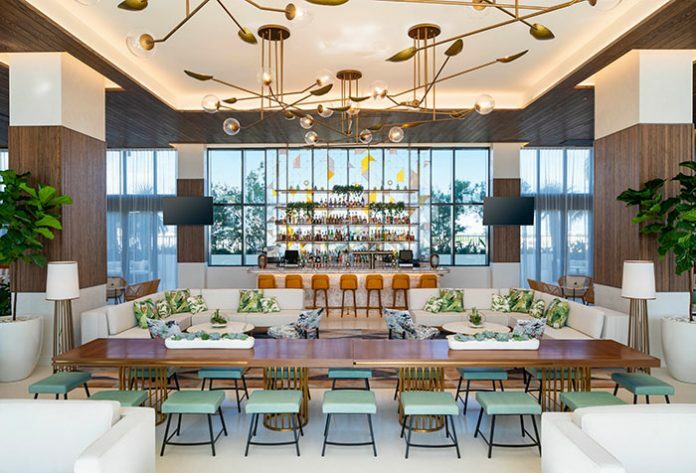 DoveHill Capital Management and Wurzak Hotel Group have announced the opening of The Dalmar, a newbuild Fort Lauderdale hotel and the latest member of the Tribute Portfolio, Marriott International’s newest collection brand. Envisioned by the DoveHill team, The Dalmar features interior design and branding by DesignAgency; five food and beverage concepts including the city’s highest rooftop bar; an infinity swimming pool; fitness centre; and 14,000ft² of indoor and outdoor meeting and event space. 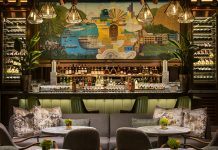 Inspired by the culture of South Florida and mid-century Californian aesthetics, The Dalmar’s design channels a playful character through the layering of textures and finishes, vibrant jewel tones and a programme of contemporary art. Capitalising on the natural beauty of Fort Lauderdale, the hotel’s indoor-outdoor scheme offers guests ocean and landscape views. 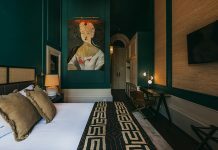 Comprising 209 guestrooms including 39 suites, the accommodation scheme features neutral tones, marble bathrooms, accents of leather and natural wood, and a curated set of artwork inspired by photographer Slim Aarons. Elsewhere, the hotel’s F&B programme will feature Rose’s Coffee Bar on arrival level and The Lobby Lounge and Bar. Mixing tropical references such as terrazzo flooring and a pink onyx bar with custom stained-glass mural, the latter space is complemented by a wraparound landscaped sky deck. 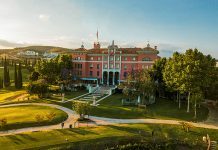 The hotel’s signature restaurant, The Terrace Grill, meanwhile, will serve up a classic American grill menu fused with hints of Italian flair, whilst Sparrow, the property’s rooftop bar, will open in Spring 2019. The Dalmar also features 9,000ft² of indoor event space located on the fourth and fifth floors for groups and events of 10 to 300 attendees. whilst another 5,000ft² of outdoor venue space features a tropical setting for events and ceremonies up to 200 guests.